The theme of the Yamaha Motor booth for the 43rd Tokyo Motor Show 2013 is Revs your Heart and it offers a chance for visitors to experience the growing world of personal mobility unique to Yamaha, a specialist in small vehicles for personal mobility. A superbike you can ride every day” is the development concept behind the Yamaha R25, a 250cc sport bike mounting a newly developed in-line 2-cylinder engine on a lightweight, slim and compact chassis that shares its look with the YZR-M1 MotoGP machine. 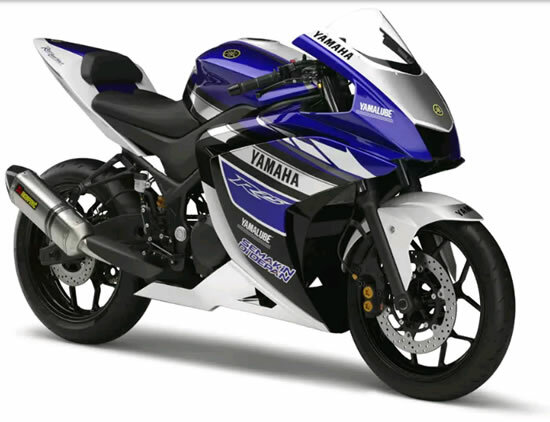 Yamaha R25 boasts a powerful and sporty ride in the high rpm range while being easy to handle. The R25 is positioned and offered as an entry-model in the sport bike category for developed markets like Japan and Europe, and as a top performance sport bike for emerging markets, primarily throughout Asia.The booth has a total of 19 models on display including motorcycles, scooters, an electrically power assisted bicycle, a Recreational Off-Highway Vehicle and an automobile currently under research and development. On display is the R25 reference/prototype superbike.